The game actually tells you this fairly early on, but it’s always good to have a reminder. 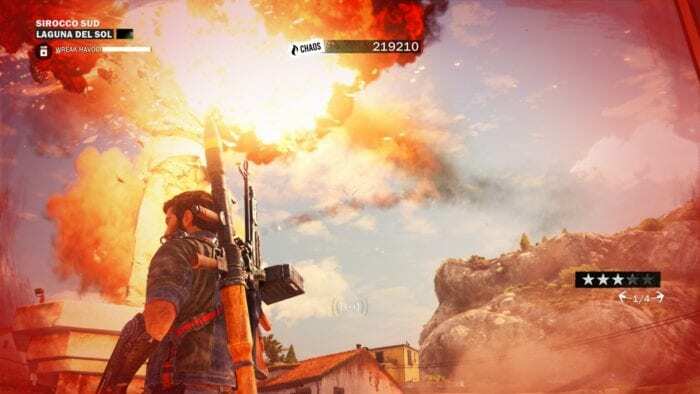 When you’re getting ready to liberate your first town in Just Cause 3, always be on the lookout for objects that have red bandings around them. More often than not, these are the things that you need to destroy to take them off your checklist. Billboards and speakers, in particular, may be a little tricky to find if you’re looking in the wrong places. If you’re having difficulty, just remember to look for the red and you’ll be set. Also, once you’ve spent enough time within the boundaries of the town itself, most of the chaos objects will be marked on your map when you pull it up.